Progressive House, Techno / House / Trance Sample from PowerFX. 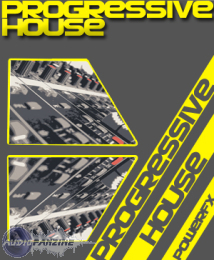 PowerFX has just released "Progressive House", a library of royalty free loops, samples and a VSTi soft synth for producers and digital music makers. The "Progressive House" collection contains about 425 acidized wav loops of "throbbing bass lines, floor banging beats, sizzling synths and a section individual drum stem loops for easy and creative mix and match, "on the fly" beat production," according to the company. Also included are 253 Rex loops and a VSTi soft synth with 54 instruments and 3 instrumental layers including basses, pads and synth leads. 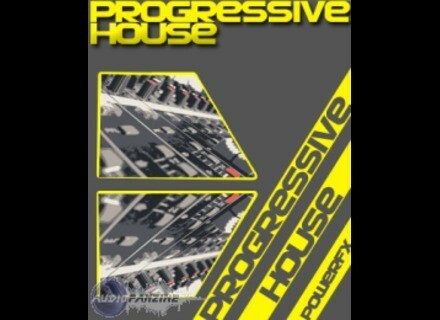 "Progressive House" is available as a digital download for $49. Check out www.powerfx.com for more. Complete Software StompVox Complete Software, in association with iPhonicus, releases StompVox, a vocal effects application for the iPhone and iPodTouch. Zenhiser Pro Audio Ultra Club Masters Kit 01 'Ultra Club Masters Kit 01' is designed to deliver about 200 drum hit collection containing "new kicks, claps, snares, hats and percussive hits," according to Zenhiser. Zenhiser Ultra Minimal Tech House Drum Kit 01 This collection features about 170 Minimal & Tech House drum sounds.